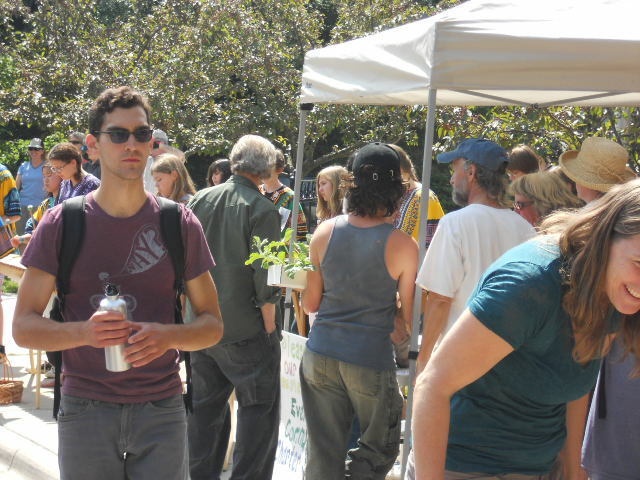 Beautiful weather, the buzz of customers, and lots of LOCAL food – that was today at the North Asheville Tailgate Market. I was enticed to the market by Carl and Julie’s (Mountain Harvest Organics) roasted Italian peppers. Every fall Carl and Julie fill the market with the delectable aroma of roasting peppers. Peppers are ready hot out of the roaster…but be sure to buy some extras to freeze and use when winter is threatening never to end. The next time they will roast peppers is on Saturday, October 11 at the North Asheville Tailgate Market. Don’t miss out. Roasted Italian Peppers from Mountain Harvest Organics – a Real Treat! I got a number of staples and treats this week – some to share at a party next weekend in Chapel Hill ~ salad mix from Full Sun Farm, pears from Bill Whipple, potatoes from Flying Cloud Farm, St. Paulin cheese with it’s lovely crust from Three Graces Dairy, pound cake from Cathy Osada, pistachio shortbread from Sweetheart Bakery (not picture as I already ate it! 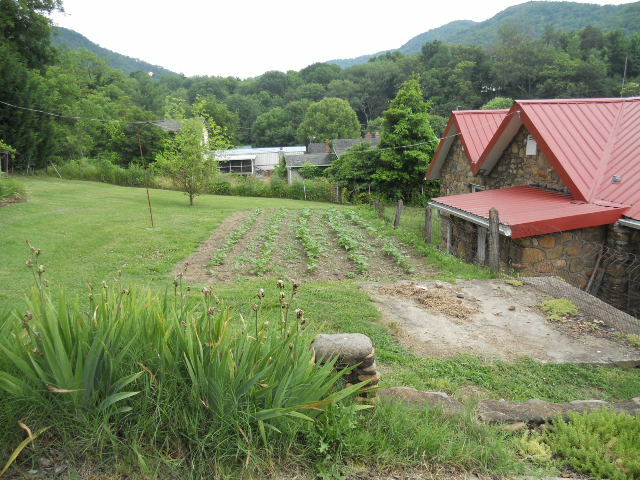 ), roasted red Italian peppers from Mountain Harvest Organics, grits from East Fork Farm (They have a mill on their farm! ), crackers from Roots & Branches, butternut squash and onion from Mountain Harvest Organics, wild sockeye salmon and smoked salmon form the Wild Salmon Company, and two milder Habanero peppers from Thatchmore Farm (I hope to trick my friend at work into thinking I am eating a fiery pepper without blinking). 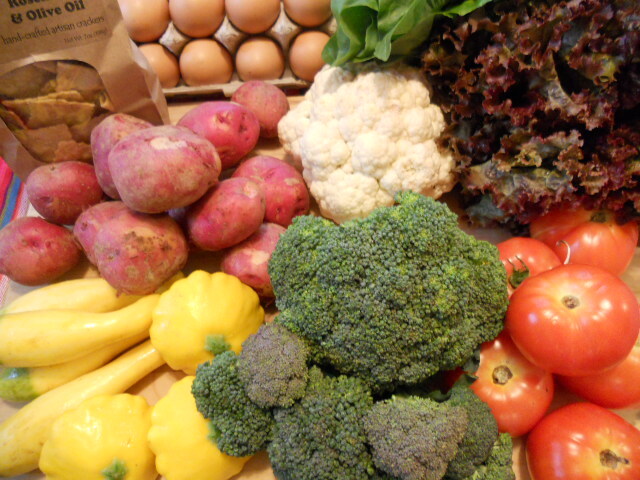 Fall Bounty of Sincerely Local Food – each associated with a particular farmer when eaten. you imagine having that much fun playing music as a middle schooler? 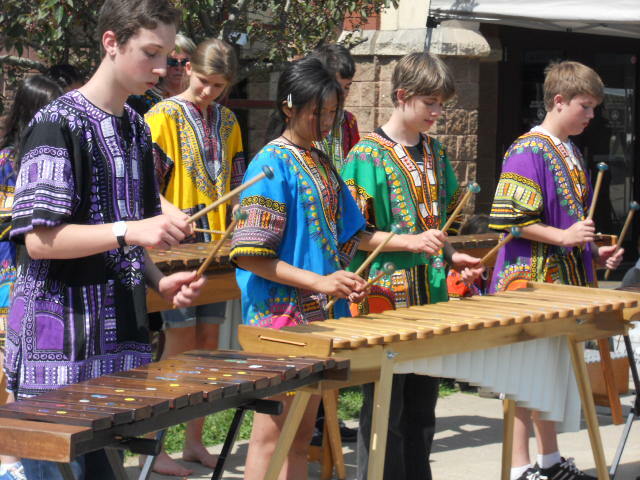 The band is directed by Evergreen Charter School’s music teacher and Chikoma Marimba band member, Sue Ford. This Saturday, Tailgate Market fans choose from a bounty of produce, including new potatoes, broccoli, cauliflower, squash and cucumbers. 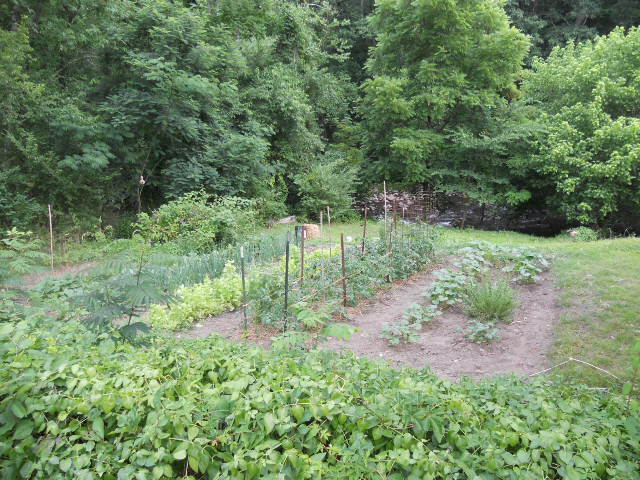 I cannot wait to make my first squash casserole of the year, and eat new potatoes. What a true luxury. These beautiful veggies have NOT been heaped up under fluorescent lights in the grocery store after traveling in a truck from California. 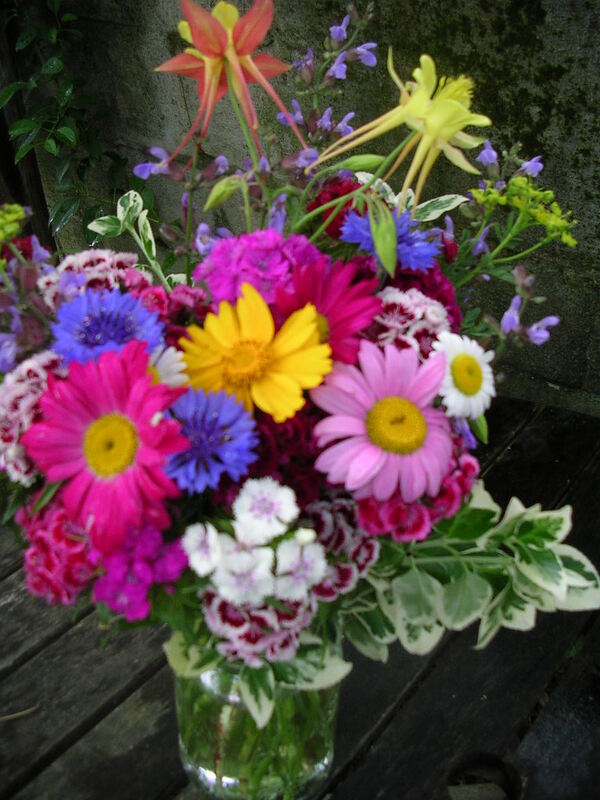 They are fresh from the fields of our local farms. 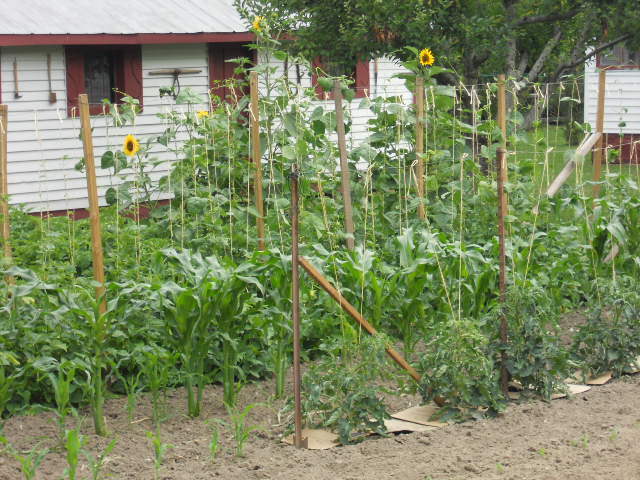 They are still cloaked in the flavor of sunshine and rain, and the care of the farmer. Next stop was the Bluff Mountain Music Festival in Hot Springs. Great traditional mountain music; amazing clogging; adorable children running around; this very sweet festival was born from the determination to save Bluff Mountain from being clear-cut eighteen years ago. Since it is a fundraiser for the Madison County Arts Council, the musicians donate their time and their music. 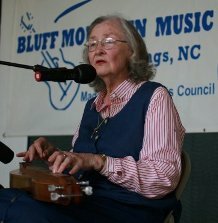 Betty Smith – the ballad singer and dulcimer player who initiated the original protest to save Bluff Mountain – sang her heart out and gave us a little history about the songs, and Cecil Sharp. Sending a shout out to the Owen Family, who played along with their son Ben. Ben Owen is only about eight years old, but plays some mean guitar and even sang lead vocals. He recently placed fifth in Youth Guitar at the Mount Airy Fiddler’s Convention. Congratulations Ben! After the music was over, we rode around in Hot Springs. 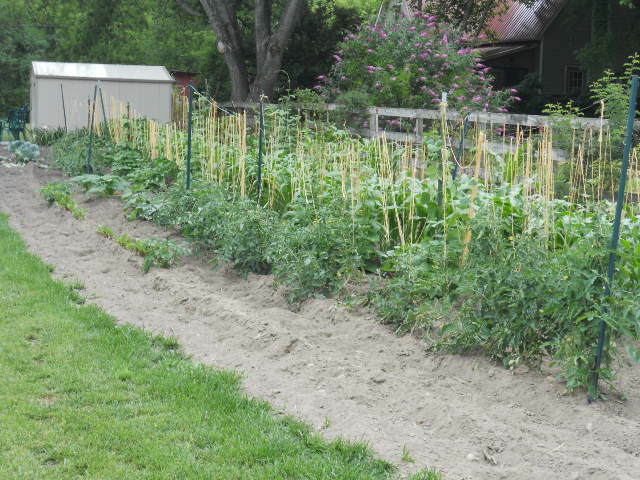 The number of veggie gardens just off the main street was impressive…here are a few that were within about two blocks! 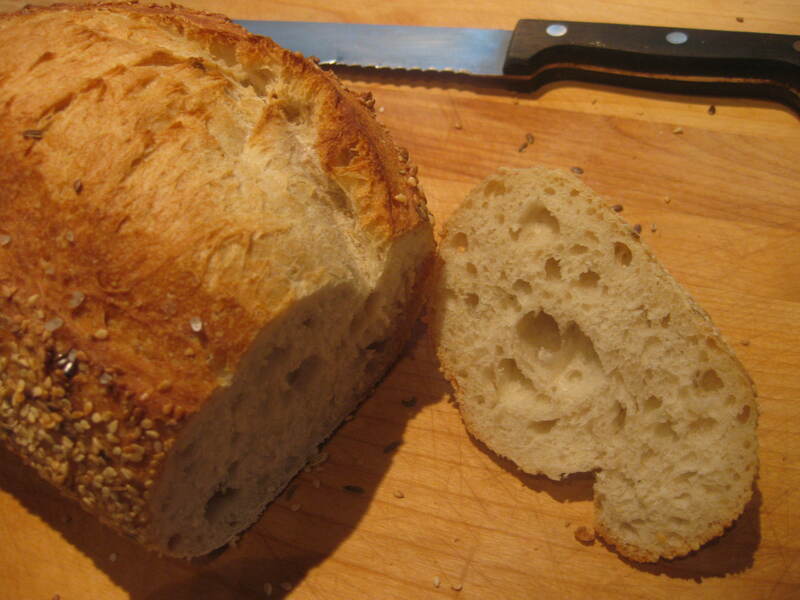 Last post I forgot to mention that the Big Ivy Tailgate Market in Barnardsville (Saturday, 10-12), the Mills River Tailgate Market (Saturday, 8-12), and the Marshall Island Farmers Market (Sunday, 12-4) are all now officially open. 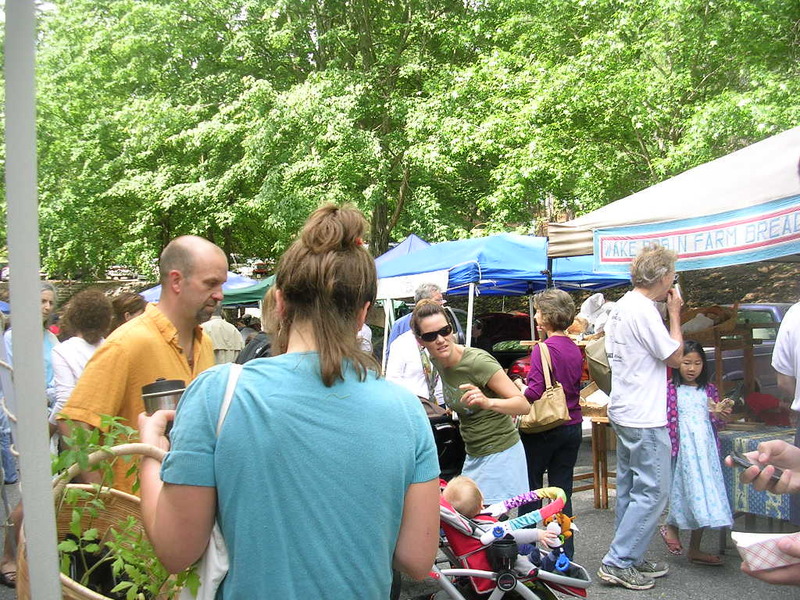 Black Mountain Tailgate Market opens this coming Saturday, May 14, from 9-12. What a happy thing that the farmers are back! Show up with your shopping bag. Just finished a bowl of local STRAWBERRIES and ice cream! According to farmers, it’s a big strawberry year, and I’ve had strawberries from four different growers in the last three days. 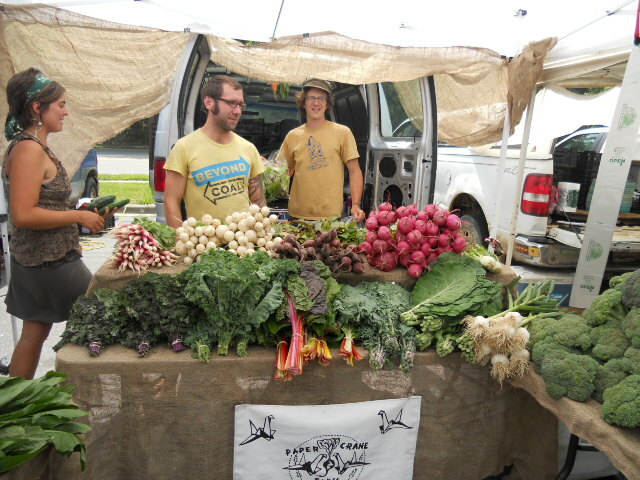 Jake’s Farm had some beauties at the West Asheville Market on Tuesday, and Full Sun Farm and Flying Cloud Farm had strawberries at the Wednesday Coop Market. Wilma shared a big bowl of homegrown strawberries at the nursery today. 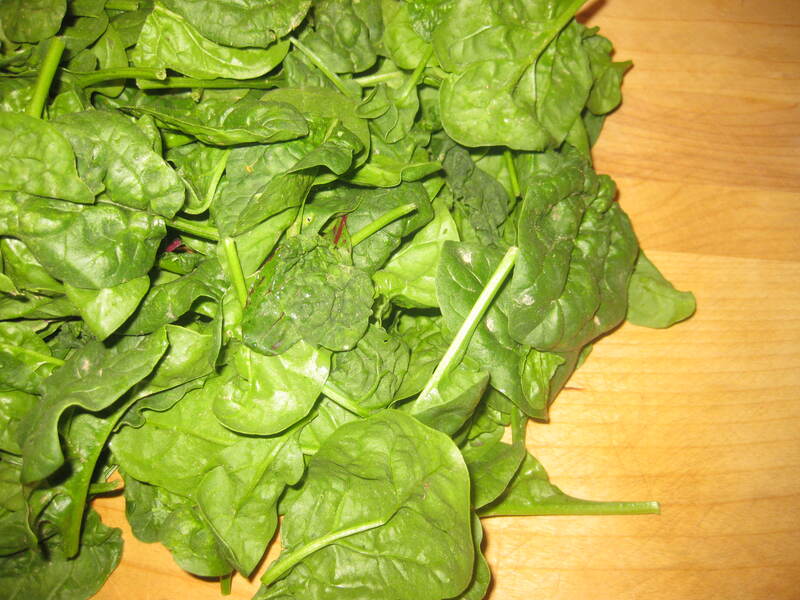 Be sure to hit a Saturday or Sunday market this week to indulge in this most wonderful spring fruit. 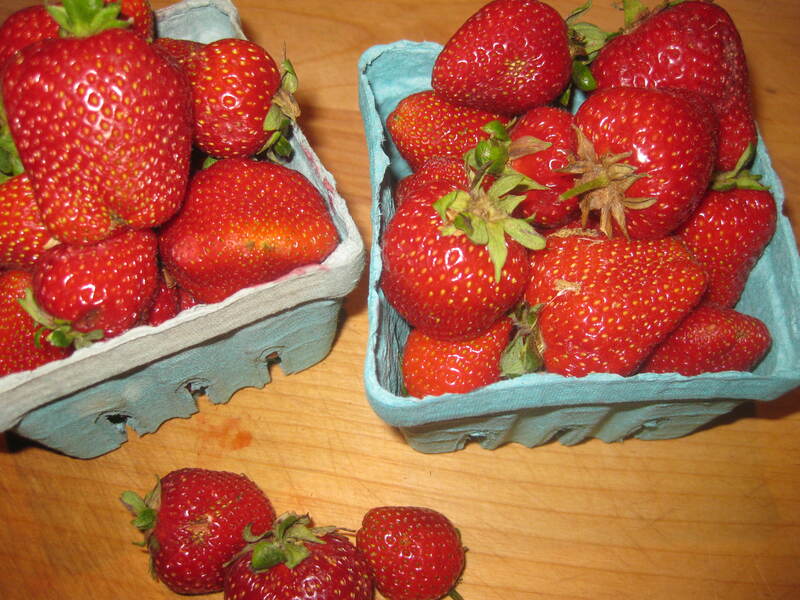 My daughter was so delighted by Tuesdays strawberries, that I got a bunch more on Wednesday. Also on Wednesday, Aimee Mostwill (Sweetheart Bakery) treated me to a rich chocolate cupcake topped with a fluffy strawberry frosting (She grew the strawberries). So yummy! There was a lot of finger-licking going on in the vicinity of Aimee’s booth. Anne and Aaron Grier (Gaining Ground Farm) were at the market with adorable baby Addiebelle. 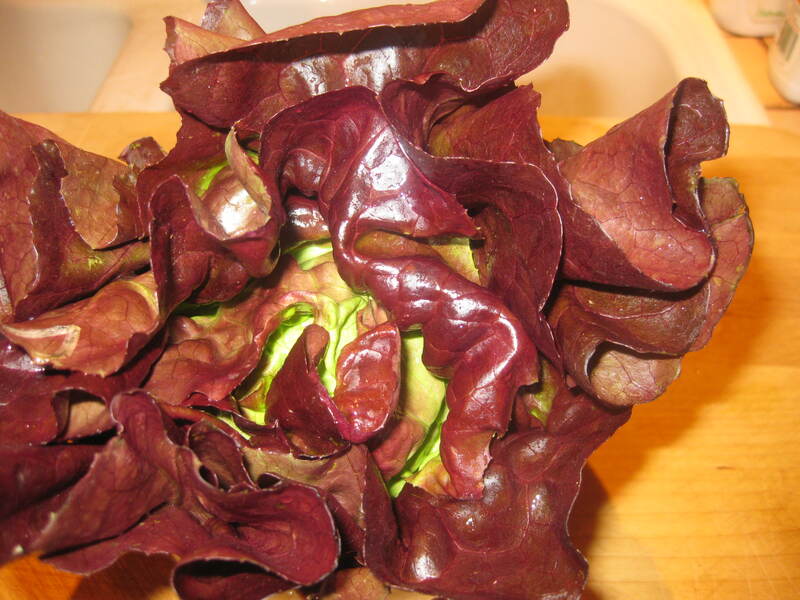 I am not sure how Anne is managing farming with a six month old baby, but she has a full booth ~ including the most beautiful red butterhead lettuce I have ever seen. Gail Lunsford and Steve Bardwell were both minding the Wake Robin Farm booth. Gail joined me in the finger-licking of strawberry frosting. 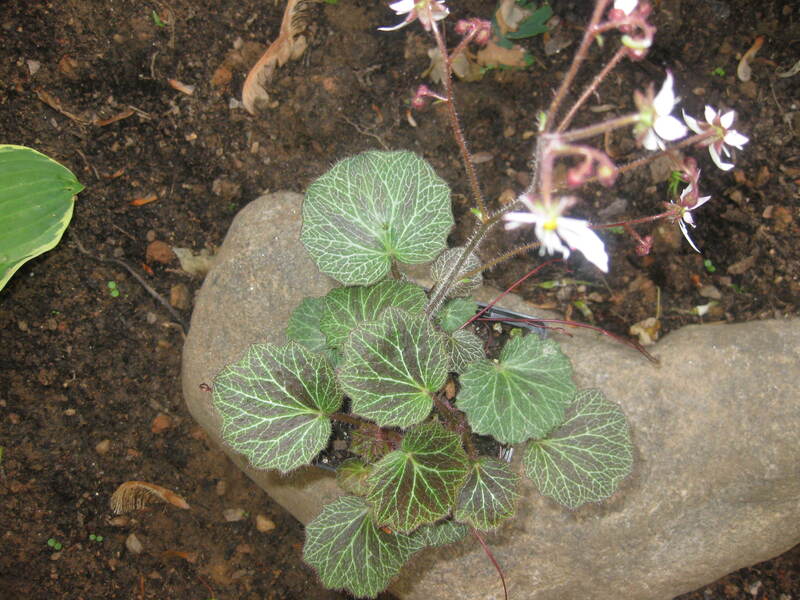 Dianne Tolman, of Madison County, had this beautiful Saxifrage. Even though I work at a nursery, I had to have this beautiful plant. Such striking leaves! 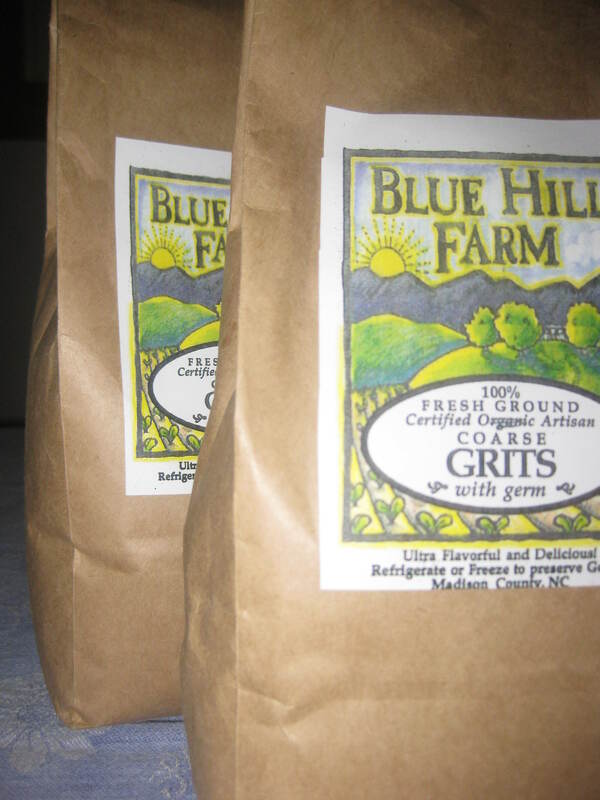 So glad to get re-stocked on grits from Blue Hill Farm (Wayne Uffelman). 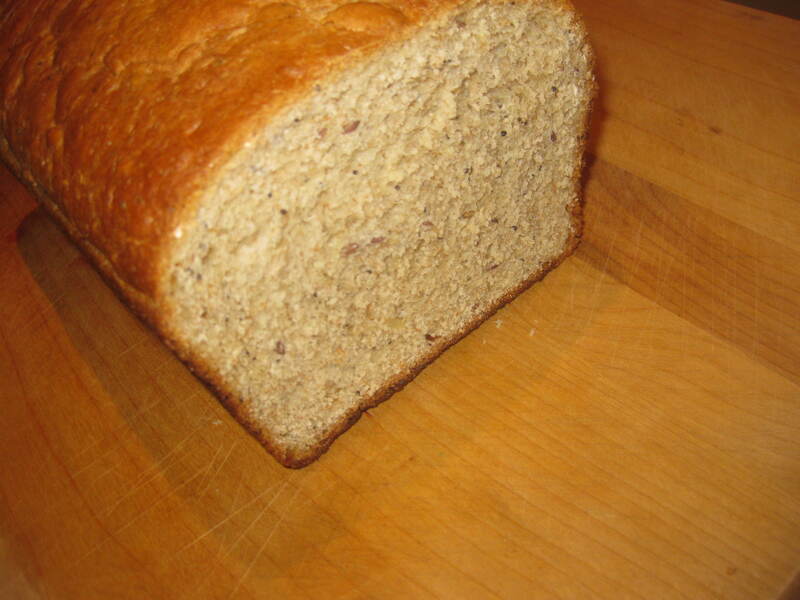 The market wasn’t open last time I ran out of grits, and I had to resort to store-bought grits. Wayne’s grits is WAY better. Try these grits recipes: https://tailgatemarketfanclub.wordpress.com/2010/09/27/grits-with-goat-cheese-topped-with-roasted-mushrooms/ OR https://tailgatemarketfanclub.wordpress.com/2010/01/27/spicy-cheese-grits/.